Maybe you’ve already discovered the blog Black Vegans Rock? 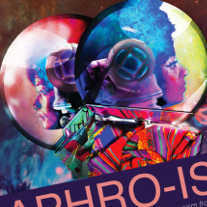 It was started by Aph Ko, who has now written the book Aphro-Ism together with her sister Syl Ko. In this book you’ll find a lively, asccessible and provocative collection of essays on Pop Culture, Feminism, and Black Veganism. The two sisters provide new theoretical frameworks on race, advocacy for nonhuman animals, and feminism. Using popular culture as a point of reference for their critiques, they engage in groundbreaking analysis of the compartmentalized nature of contemporary social movements, present new ways of understanding interconnected oppressions, and offer conceptual ways of moving forward expressive of Afrofuturism and black veganism. 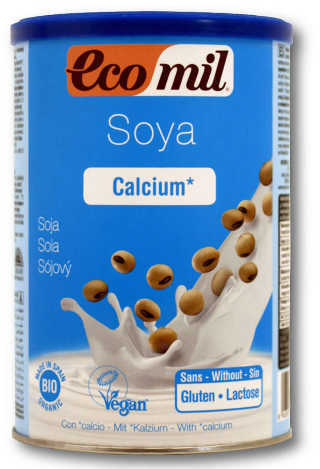 And second of all, there is something which might seem a bit strange to some of you: Soymilk Powder. But if you’ve ever travelled with your backpack or with your bike you might have an idea of what we’re talking about. It’s so annoying to carry a liter bottle of soymilk if you can have 100 g of this white powder instead! Previous Previous post: 6 % discount on B12 in September! Next Next post: 15 % off ethletic shoes!